You can use this file for your own enjoyment and to use for yourself as you wish. If you would like to make changes and publish it, please let me know. Why is this version 1.4.0? Because you never know when I may tinker with it some more. Is it perfect? No. But short of a new tool for the goodbye scene, lip syncs are finally done. Almost all changed audio should sound and "look" pretty decent. Everything I had ever thought possible and more is now complete. Thanks go out to these people. I'm sorry if I missed anyone. My wife for allowing me to work on this for too long and pretending to sort of care when I would talk about it. WarrantyVoider and the me3explorer team for making this possible. Otherwise I’d be stuck making youtube videos instead of changing the game. SirCxyrtyx gets a special shout out for creating the FaceFX Editor, which was the main point of this new release. MrFob for putting up with an onslaught of communication, helping me through technical challenges, and offering advice. wavion for testing the mod, offering very technical advice, and most importantly, creating the first installers and helping with the last installer. JohnP for developing the "mods as DLC" method and for walking me through technical challenges. AVPen for figuring out a pretty slick way to add textures to mods. Kinkojiro for fine-tuning what AVPen figured out and for getting a lot of things to work properly in CEM Lite. Also, and more importantly, for creating the "Ultimate Party." sansuni for advice and writing up a couple of nice emails to round out a few things after the war would be over. giftfish for all the tutorials and help. dke and cfs3corsair for testing, offering advice, and pointing out flaws with good debate on how best to handle them. saake for testing, offering advice, and coming up with the idea for the intro to CEM Full. BDelecroix for testing, offering advice, and hosting the mod. Almostfaceman, Chashan, ebg2465, KingFeraligatr, sib277, and voteDC, for testing and/or offering advice. spamtrash, Blad3Zer0, and McBlade223 for providing key romance saves which I could use for testing. deadspear for finding that "procurement" voice actor for me. Again, sorry if I missed anyone on this list. I know many people helped me make this mod. Thank you Bioware for the Mass Effect universe. Thanks for letting us mess around with mods and thank you for the great send off with the Citadel DLC! v1.4.1	Fixed issue with music not playing during the final ultimate party phase. Fixed core game problem with music not ending during party aftermath if romancing Liara. v1.4.0	Lip syncs should be correct for all lines except for, sadly, the goodbye scene. Ultimate party is now a default install option where it flows as, Phase 1 relaxed or rowdy, Phase 2 relaxed, Phase 3 relaxed, Phase 2 rowdy, Phase 3 rowdy, Aftermath. Some continuity fixes and a few new install options. vC	Brought back some lines, fixed some subtitles, improved some more changed lines, once you start CEM Full you can't make a mistake and leave the strip, more goodbye music choices, texture changes included, removed "Sanctuary" ad from intro vid to meet Joker and removed "Sanctuary" ad from Silversun Strip loading vid. Basically, everything on my list is done. It's not perfect, but it's as close as I can get unless I can edit speaking animations in the future. v1.2b	Corrected an error with 4 lines which had been correct in v1.1 but broken in v1.2. Changed one line for a character. Corrected one subtitle. v1.2	Makes it impossible to accidentally start the Citadel DLC before the end of the game by moving the email from Hackett to the beginning of CEM. Changed 2 lines. v1.1	Allows the mod to be installed and not be used as Dependent DLC in save game files. In other words, you can delete the mod and your save game files will still work without needing to use Gibbed Save Editor. v1	Brought more lines back into the game. Fixed awkward pauses for certain lines. If you use JAM to CEM or MEHEM to CEM the game flows seamlessly; no need to open a previous save to use CEM. v0.3	Fixed a few lines that needed changing and changed the ending a bit. v0.2a	Fixed a glitch in the apartment where the player would get stuck. v0.2	Updated to CEM v02 with the entire Citadel DLC playable after the end. v0.1	Initial release for Citadel Epilogue Mod v0.1. v1.4.1	Fixed issue with music not playing during the final ultimate party phase. Fixed core game problem with music not ending during party aftermath if romancing Liara. Removed constant reminder to "Have a drink" (still shows on map) and removed Glyph's reminders to buy party supplies. v1.4.0	Lip syncs should be correct for all lines except for, sadly, the goodbye scene. Ultimate party is now how the party flows which is, Phase 1 relaxed or rowdy, Phase 2 relaxed, Phase 3 relaxed, Phase 2 rowdy, Phase 3 rowdy, Aftermath. Some continuity fixes and optional install options. vC	Fixed a few lines, more goodbye music choices, texture changes included, removed a "Sanctuary" ad from the Silversun Strip loading vid, and fixed continuity issues with images for the goodbye scene. Player can't throw the party too early if using a transition mod. Basically, everything on my list is done. It's not perfect, but it's as close as I can get unless I can edit speaking animations in the future. v1.1b	Changed one line for a character. Known issue with the ALOT mod but a patch is out. Read the instructions in the zip file. Find the download at the bottom under Optional Files. This only applies to CEM Full and it affects only the apartment invite for James. If you wanted to play CEM in German, you now have that option. While I haven't played it, Autoola has put in a lot of work and it looks solid. If you are already using the party of the Citadel DLC as your ending or if you play the entire Citadel DLC as your ending, then this mod is for you. Out of over 4,000 lines of dialogue and text, it changes less than 5% of the Citadel DLC to allow it to be played after the game is over. There is no talk of war, the reapers, Cerberus, or "winning." You can also opt for the lite, or party only version of the mod, to play the Citadel DLC and meetups during the main story and then celebrate after defeating the reapers. Not required at all, but story wise the Citadel Epilogue Mod makes the most sense with one of the following. Although story wise this may not make sense, you might consider this as well. Ultimate Party - What this means is that after throwing the first phase of the party, instead of choosing to either have the next two phases be relaxed or rowdy, the party will instead go through phases 2 and 3 of relaxed, and then phases 2 and 3 of rowdy. 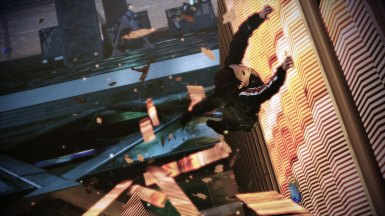 Basically, except for the few nuances between the relaxed and rowdy versions of phase 1, a player can now experience all party options in one party when finishing the game. There is an option in the installer to not use this new feature, aptly named, No Ultimate Party. 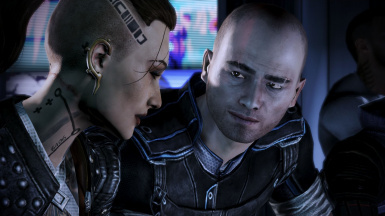 Miri/Jack to Normandy - An install option, this will allow a romanced Miranda or Jack to turn and walk to the Normandy during the goodbye scene instead of away from Shepard and the crew. No Kolyat - An install option for CEM Full where the email from Kolyat will not show up for a memorial service for Thane. No Anderson Intro - An install option for CEM Full where the saved video message from Anderson will not play. Instead the player is put right into the apartment when entering. No Limits - An install option for CEM Full where all the blocks to the Citadel DLC starting after the credits roll are removed. This allows a player to either relax a bit before starting up the mod and future proofs it against any new ending mods which may not have a transition mod. If you're using MEHEM, JAM, or LIME and want CEM to work with it, you need to download two files. Second, grab the transition mod which matches what you use. An example would be this. You downloaded the CEM Full Automatic Installer and you use JAM. Download the JAM to CEM Automatic Installer as well. Requires the Citadel DLC to function. For the SP Controller Mod, put both the SP Controller Mod and CEM into mod manager and choosing an option to "create a compatibility patch" will allow mod manager to create a patch which will allow the two mods to work just fine together. I haven't tested it but it should work. BackOff needs a patch. More info on the BackOff page. EGM version 1.0.6 and higher has native support for CEM. 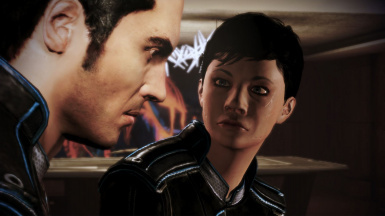 If you want to uninstall this mod, simply go to your Mass Effect 3 install directory\BIOGame\DLC and delete DLC_EXP_CEMF or DLC_EXP_CEML and also any transition mods; DLC_CON_MtoCF, DLC_CON_JtoCL, etc. After getting permission from Faunts and Malukah and doing some work myself, the JAM v1.5 to CEM installer now offers music options. Original music (which starts with Das Malefitz in case you didn't know,) Reignite/Das Malefitz, and a pretty heavily edited M4 (Part1)/Das Malefitz. If you choose one of the new credits options, the destroy epilogue music is also changed to that of the splash screen music you hear when you start the game. LIME - We Will Prevail offers everything listed above except, given the nature of the mod, it does nothing with epilogue music. Simply read the instructions during install. The license agreement is where everything is explained in detail. Even if you don't use MEHEM, JAM, the Extended Cut, or LIME, you still have options. 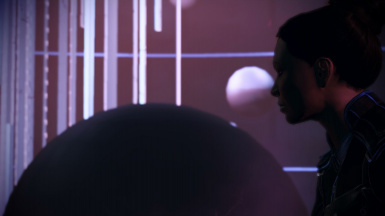 It is recommended you install this mod before you can do anything in the Citadel DLC, so feel free to install before you even begin a play through of Mass Effect 3. Check out LIME as well because it solves some issues people were having when experiencing difficulties getting the EMS high enough. Q: Did you use custom audio or original audio files? A: Any audio file changes use voices of the original cast. Mostly the lines are from Mass Effect 2 and the remaining few from Mass Effect 1 and 3. Now the changed lines are almost entirely lip synced as well. Q: What other changes did you make? A: Most of the remaining changes are text changes in emails, primarily from the Armax Arsenal Area. Very few lines were cut. Most of those are actually lines of people as you pass by them on the Silversun Strip and not critical lines to the DLC. Texture changes to replace ads which wouldn't be used during the time period of CEM. Q: Do you keep your weapons and armor you get during CEM Full for an NG+ play through? A: Shockingly, it appears yes. I have the M-7 Lancer I picked up during CEM Full when I did an NG+. Didn't get to the armor to confirm but odds are you'd keep that too. Thanks klaydabbz, for asking the question. Q: How did you deal with the goodbye scene? A: It's largely intact but given the minor line tweaks and music change, it should leave you with the impression that Shepard is simply off to do more standard duty, not going off to his or her death. 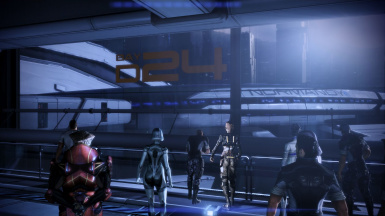 Hopefully it will allow you to leave the trilogy with a good feeling closer to ME1 or ME2's endings. However, I didn't want to leave you with no options so the automatic installer now includes a total of 3 music options, one of which is the original Citadel DLC "Farewell and Into the Inevitable."